Bross, Cameron, and Lincoln from Scott Gulch. Erin fighting to stay vertical en route to Mt. Silverheels. 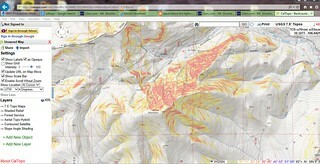 Cal Topo Map of Slope Steepness, for avalanche preparedness. Erin and I failed miserably at ascending Mt. Silverheels. We properly mitigated all the objective hazards, but nothing could account for the onslaught of perpetually high wind. It was blowing much stronger than what I experienced with Slava on Longs Peak and I wouldn’t be surprised if it was gusting between 90-100 mph. I fell over 3 times and I dared not drop my pack for fear that I would land in Oz. 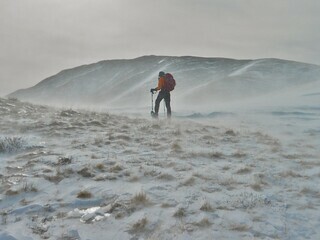 The forecast was for high winds gusting between 30 and 40 mph. Next time I try this mountain, I’m only going to go if the forecast is between 0-10 mph gusts…that way if they are off by 50 mph, then I might actually be able to summit! Hidden Falls are not so hidden! 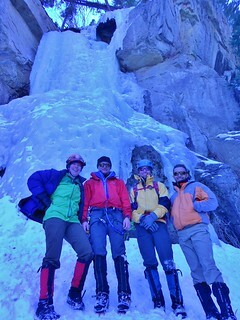 On Saturday, I went ice climbing with Slava, Mark, and Doug at Hidden Falls in Rocky Mountain National Park. 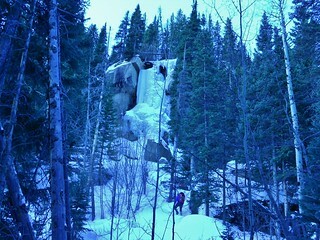 From the trail head, it takes about 30 minutes to get to the falls. 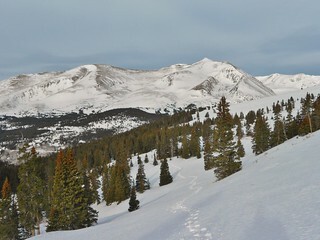 The forested trail was well tracked and we didn’t need snowshoes. The weather looked superb, so I was psyched to climb. 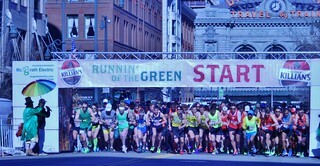 Two days after my 20 hour Longs Peak challenge, I supported Dennis as he “competed” in the Running of the Green, 7k race. I was still fatigued after my adventure with Slava, but I managed to peel myself out of bed and put on some green clothes. 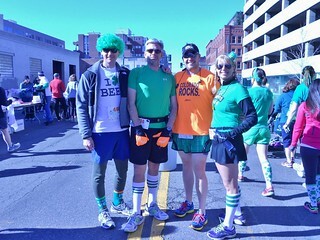 We walked over to the starting line and met up with Julie, Jeff, and a whole bunch of their friends from the run club. 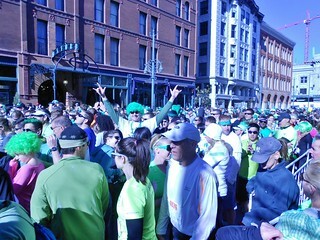 I also managed to run into Josh, who was competing with some of his buddies from work. 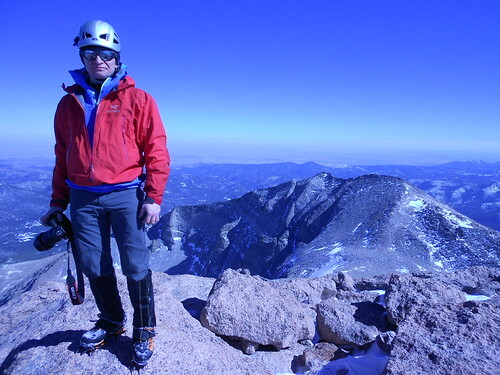 On Friday, Slava and I took advantage of the clear weather and climbed Longs Peak. Originally, our plan was to climb Mt. Lady Washington, but since the weather was gorgeous and we were making excellent time, we decided to go for the summit of Longs Peak instead. We ascended the ever popular Keyhole Route. 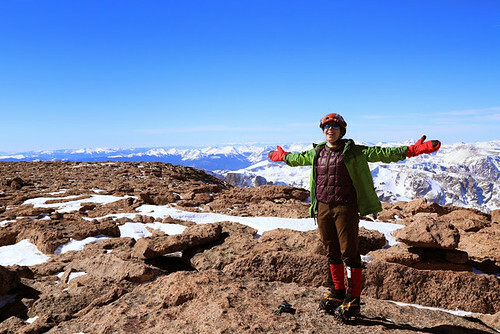 It was my first time climbing Longs Peak, so I was excited to do this route in winter when there would be no crowds. Additionally, the element of snow and ice made the route more challenging and I enjoyed the added technicality of climbing with crampons. 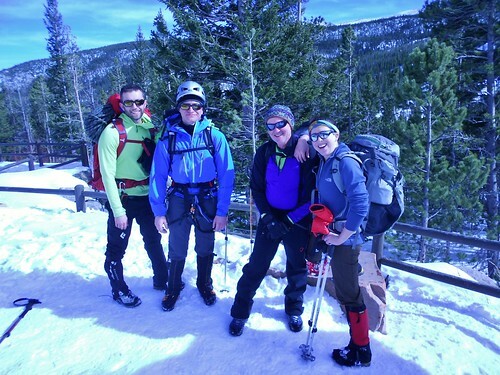 On Sunday, I went ice climbing with Doug, Rick, and Slava. It was a gorgeous day at Loch Vale, in Rocky Mountain National Park. 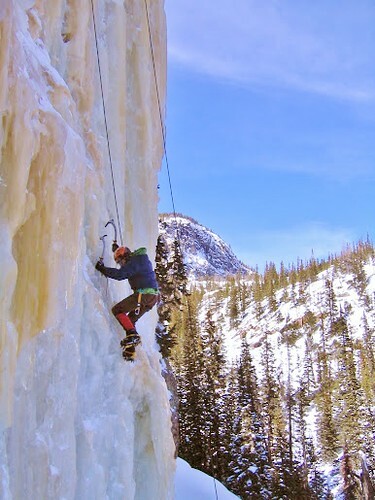 We were treated to perfect ice climbing conditions. 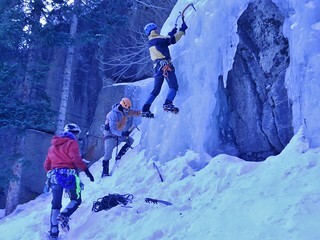 It was my third ice climbing trip and, by far, the most fun! Loch Vale has a nice 30-40 minute approach and a variety of moderate climbs. My favorite thing about Loch Vale was the naturally formed ice cave, which sheltered us from the wind. We climbed there for about 4 hours. When everybody had a good forearm pump, we called it a day. 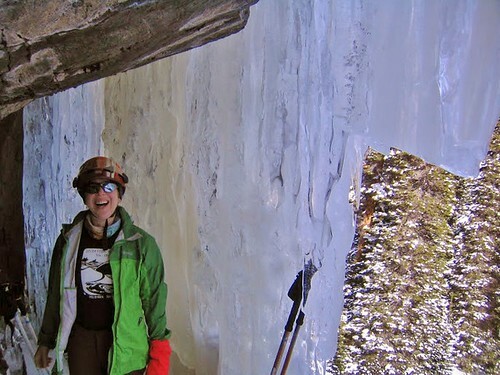 You are currently browsing the climbergirl blog blog archives for March, 2014.